Double Sole featuring Synthetic Wedge A synthetic outsole and leather midsole ensure a high level of flexibility. A synthetic layer makes this sole light and flexible. 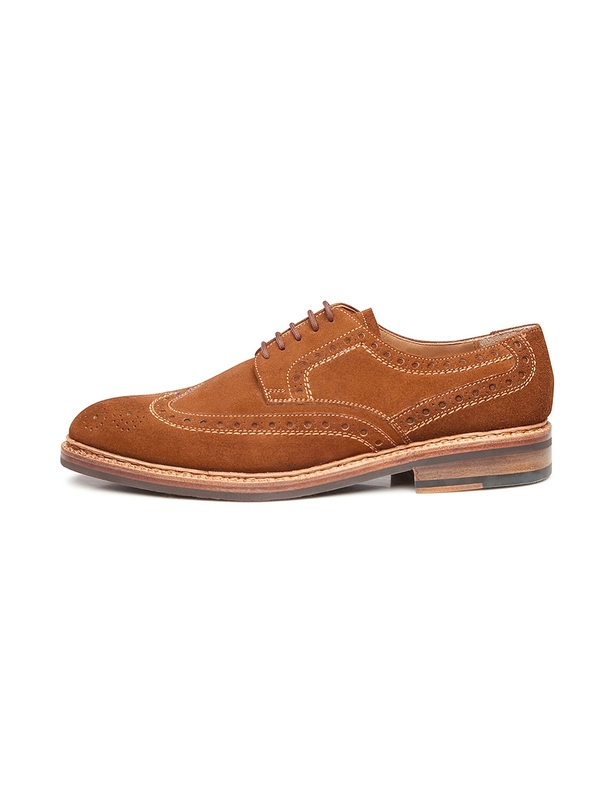 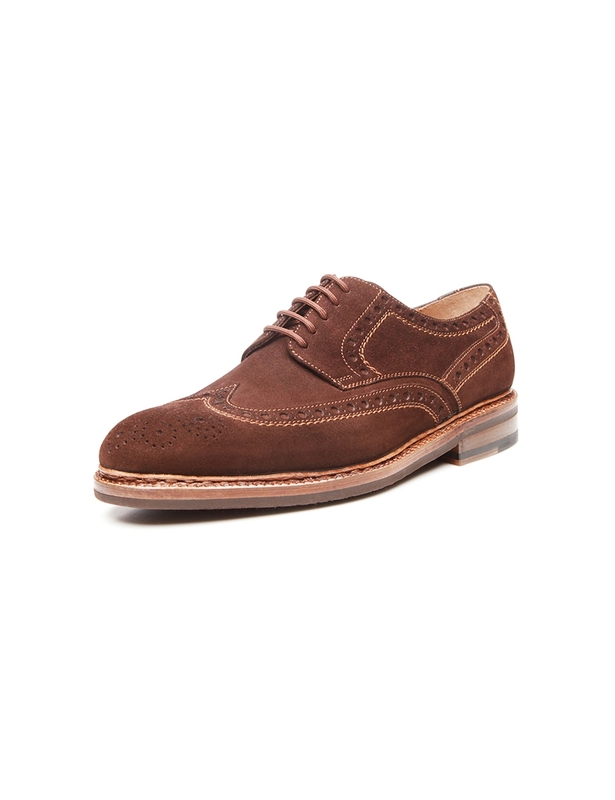 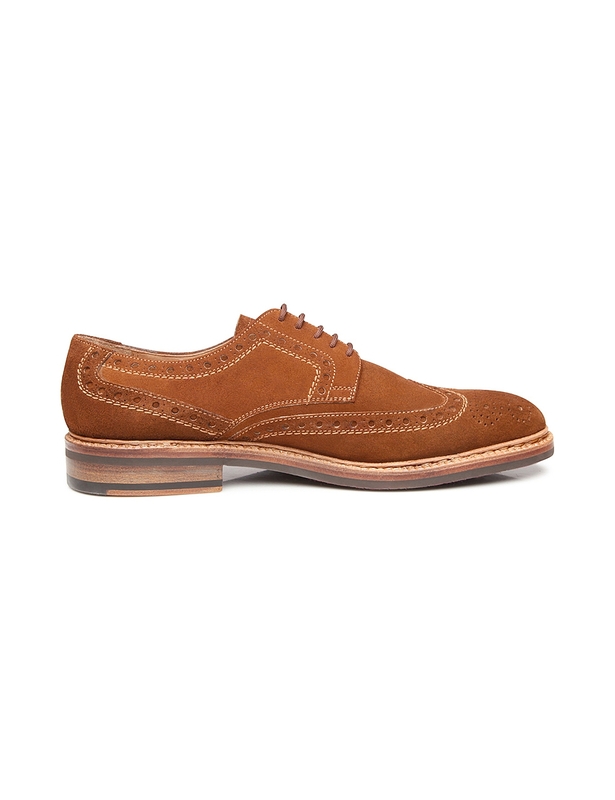 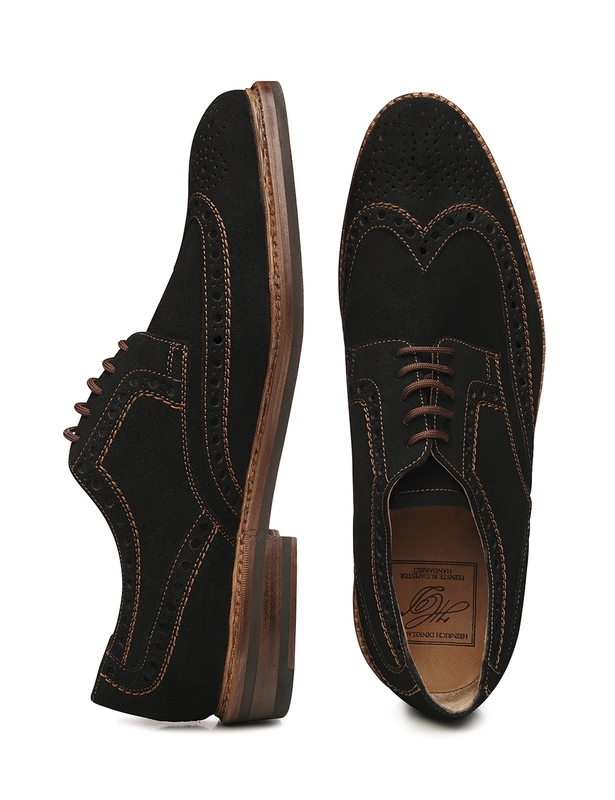 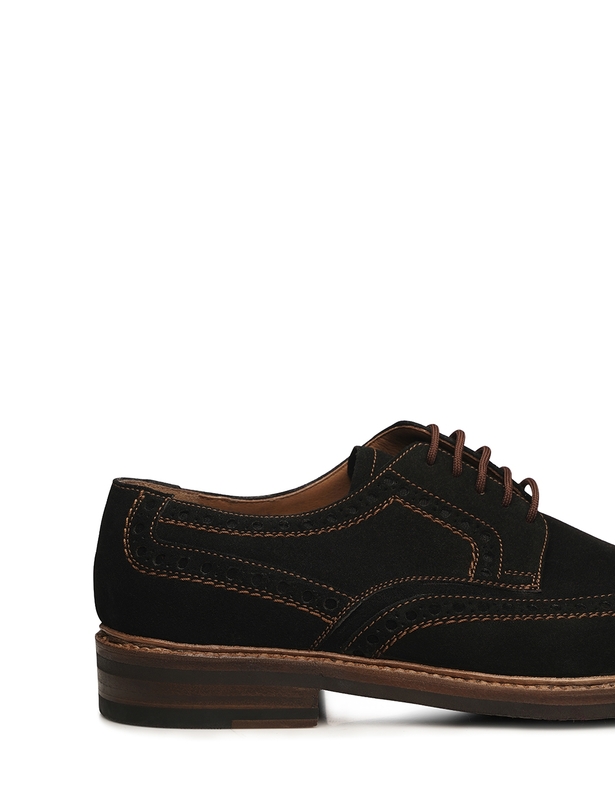 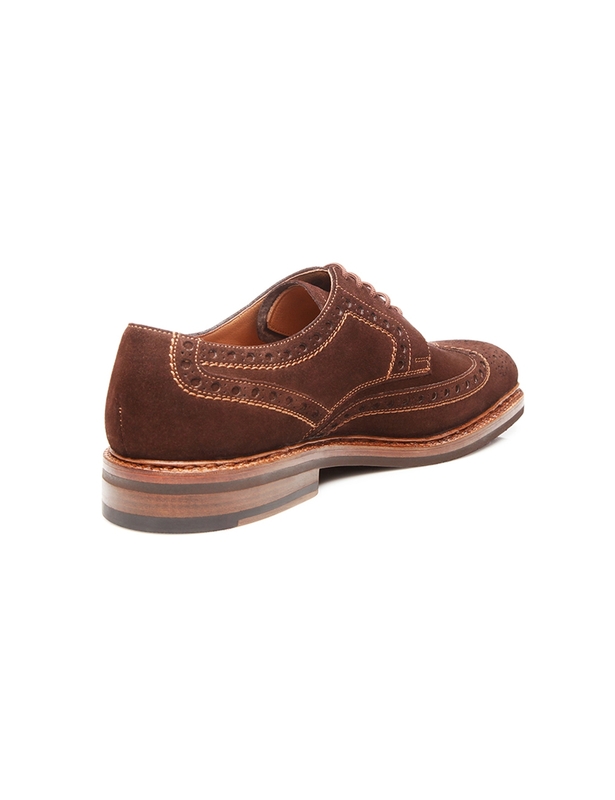 This handcrafted full-brogue Derby gets its charming nonchalance from opulent, decorative Lyra perforation and the soft calf velours used to make the shaft. 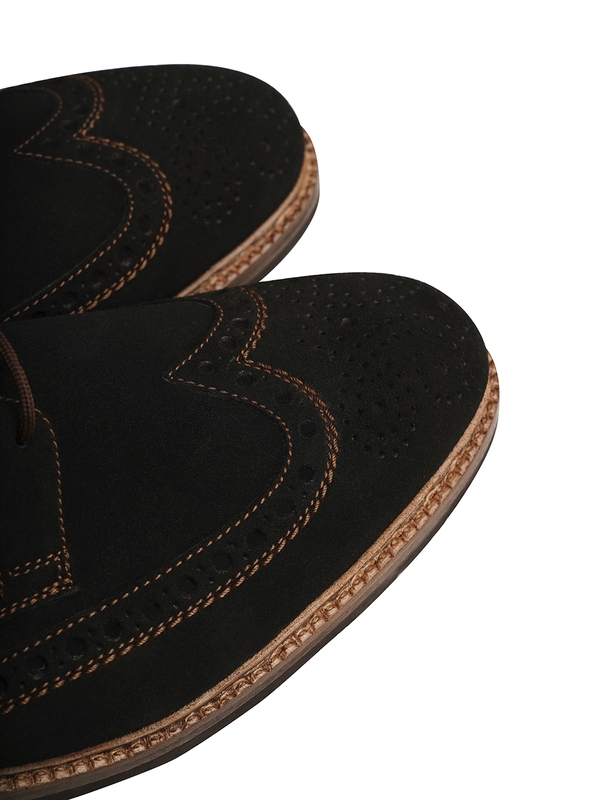 The elegant perforated pattern along the edges of the shaft and the front edge of the shoe hearkens back to shoes worn by the rural populations of Ireland and Scotland. 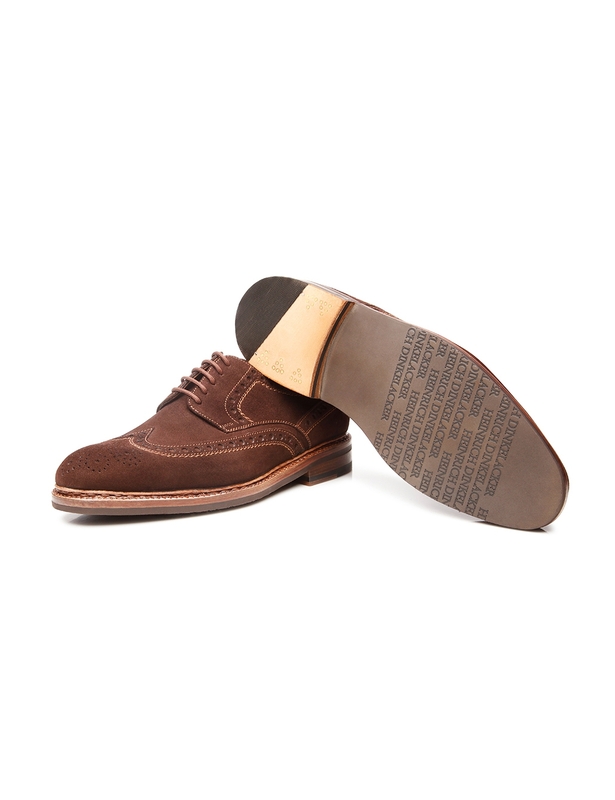 In order to allow their shoes to dry more quickly after a march through the Highlands, the shepherds there would bore holes into them. 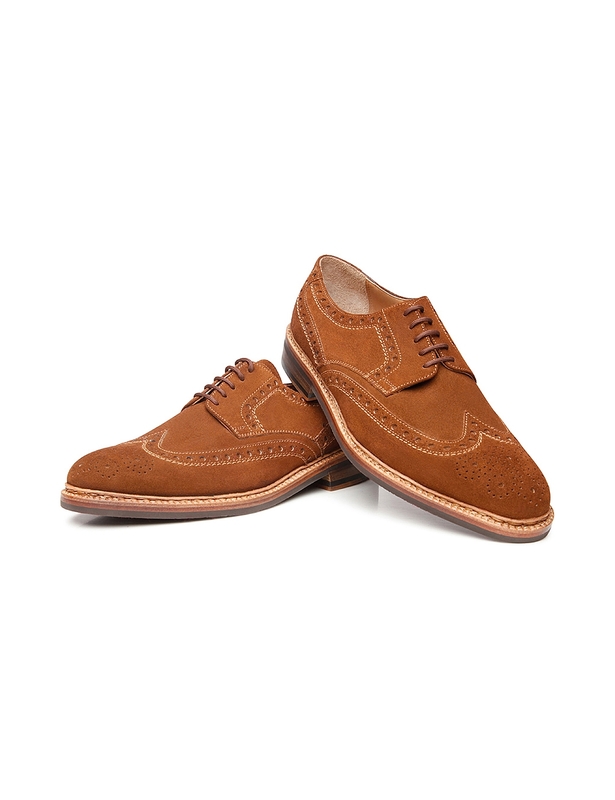 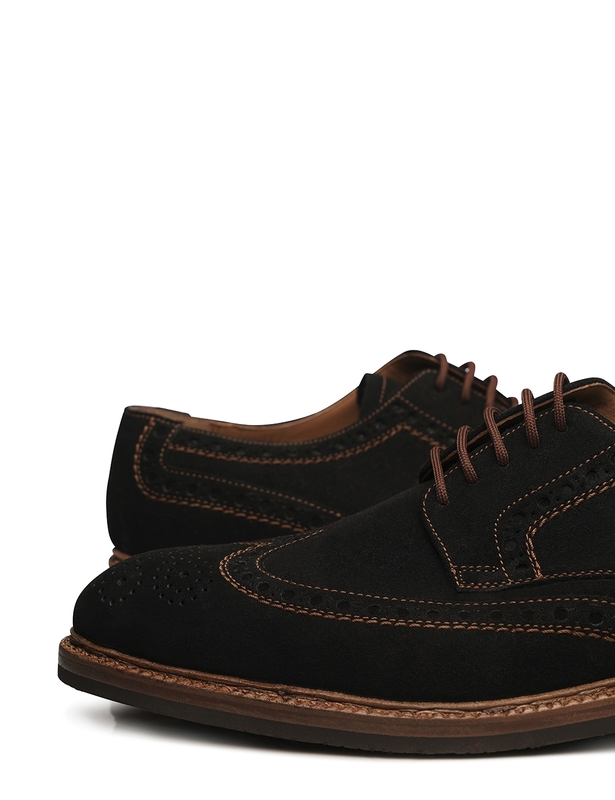 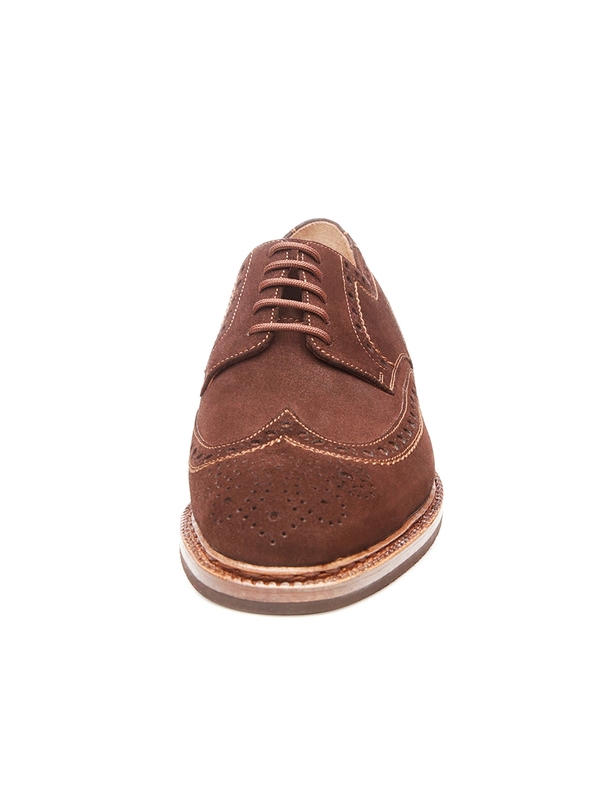 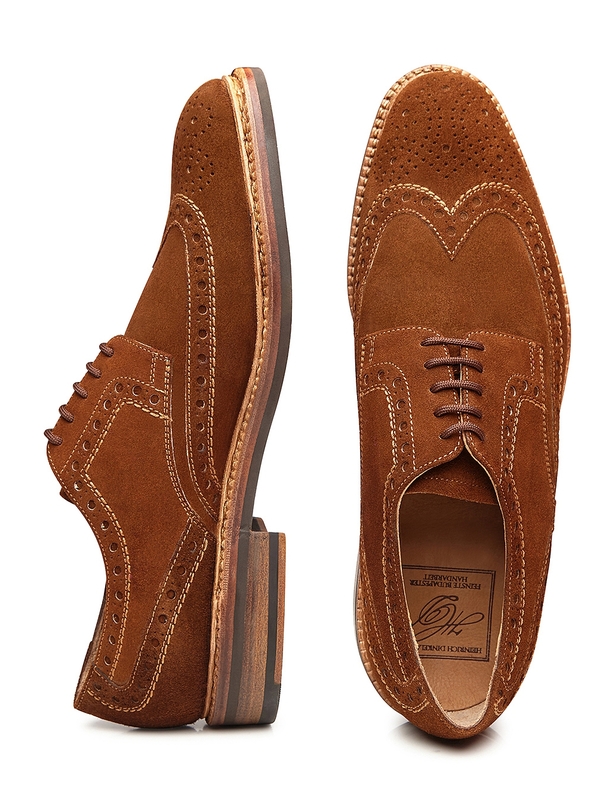 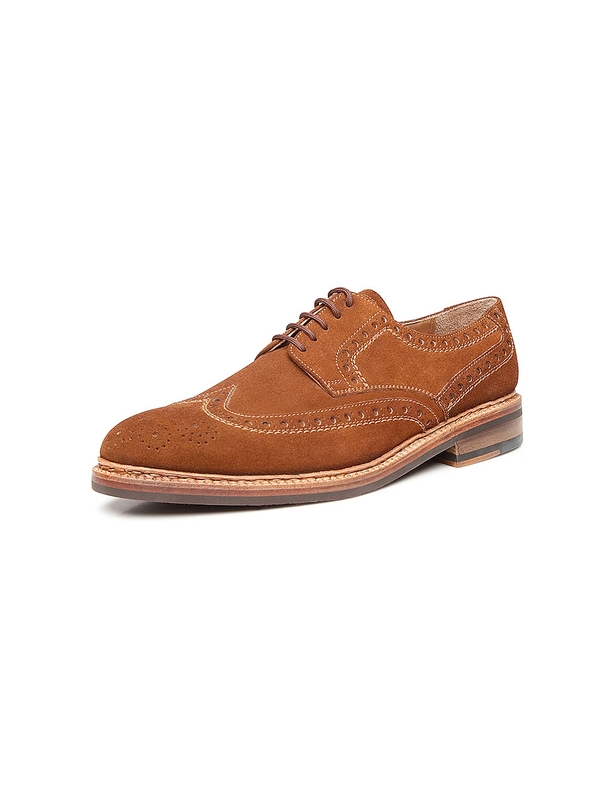 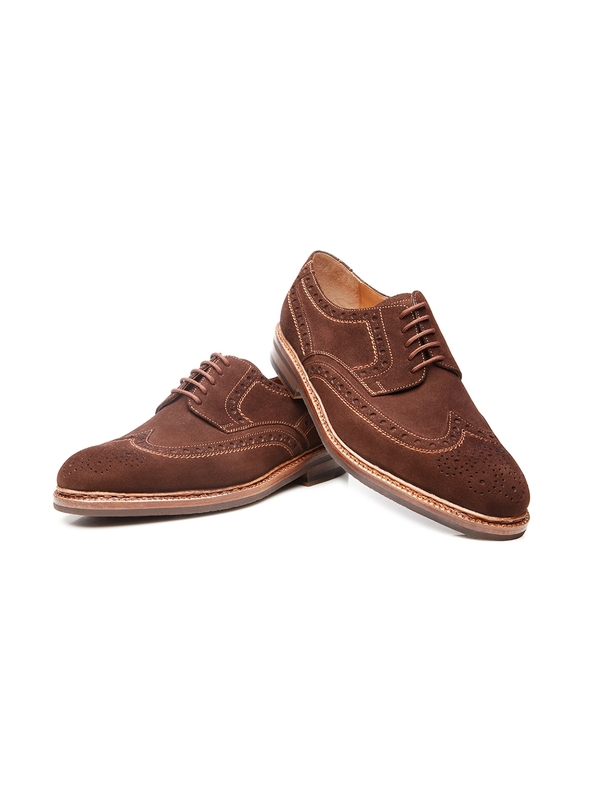 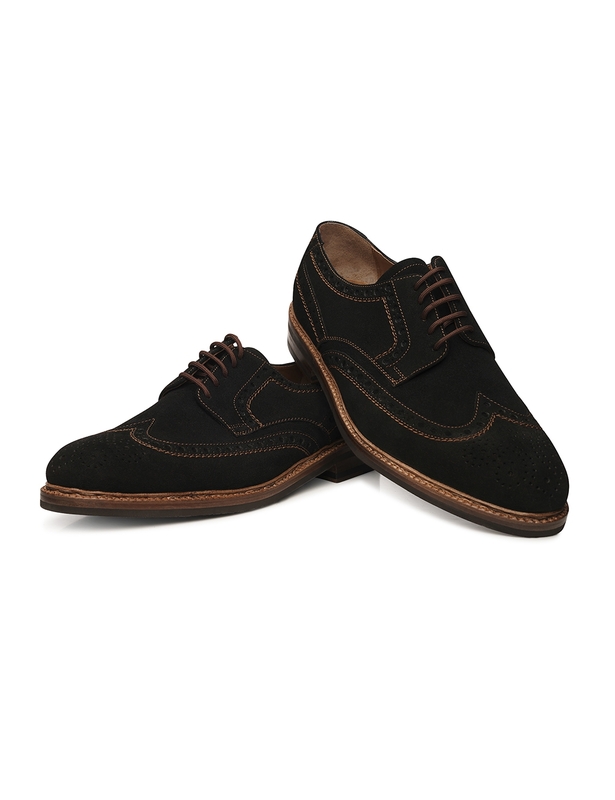 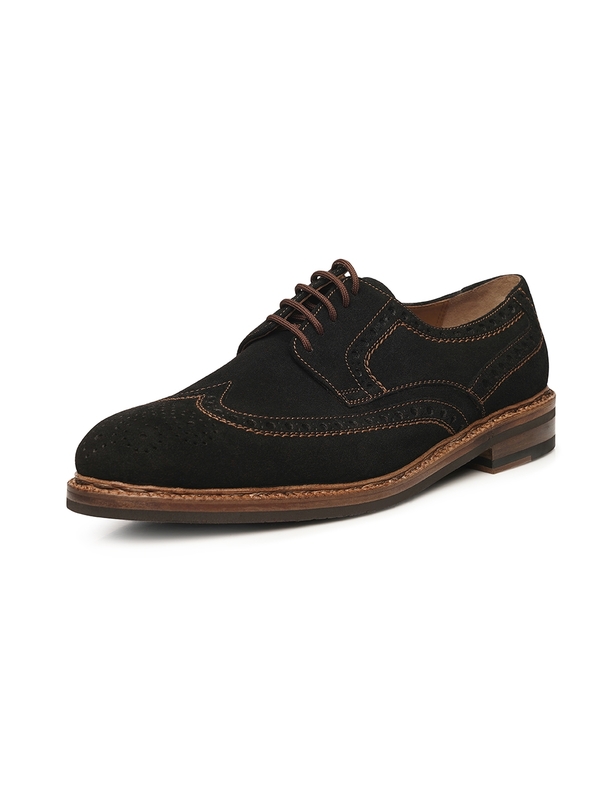 These brogues slowly but surely became more widely worn in the 18th century. 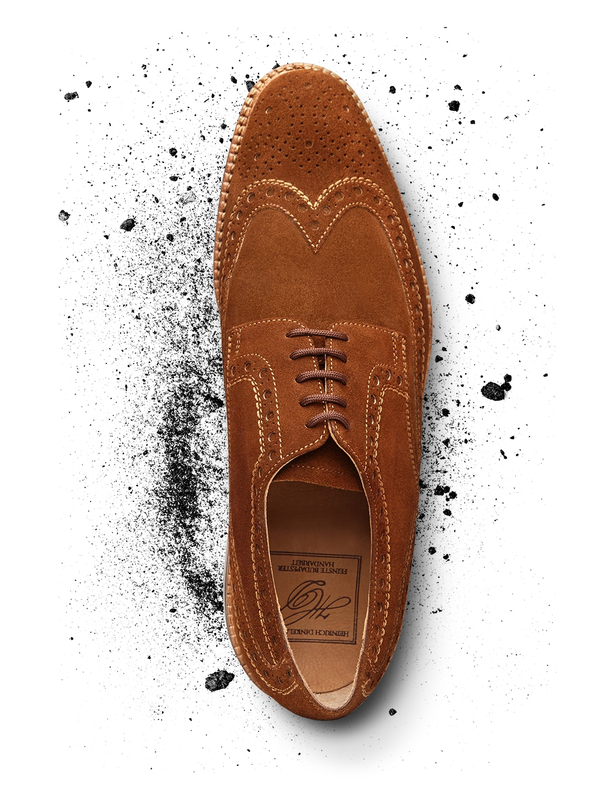 Today, the perforation that gives them their name used solely for decorative purposes. 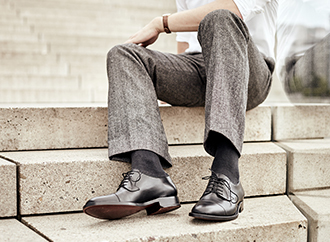 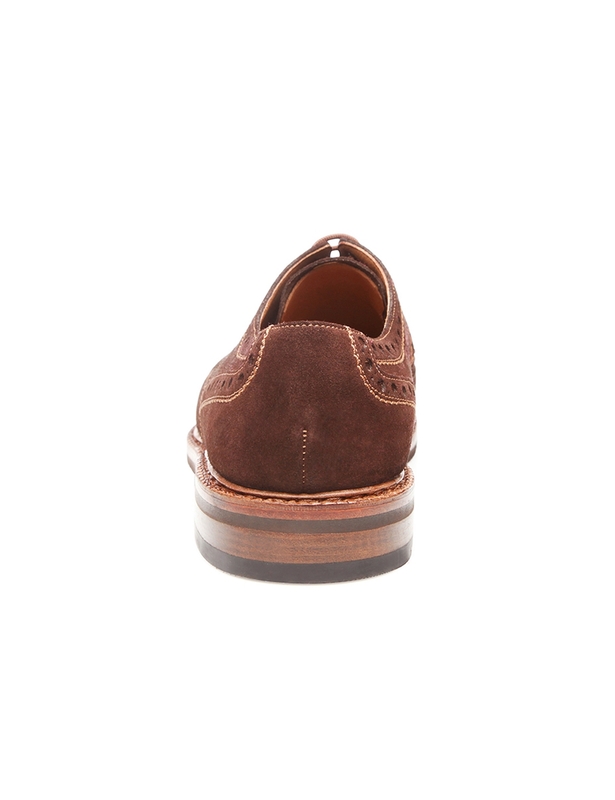 Crafted on a Luzern last, this shoe exudes additional dynamism. 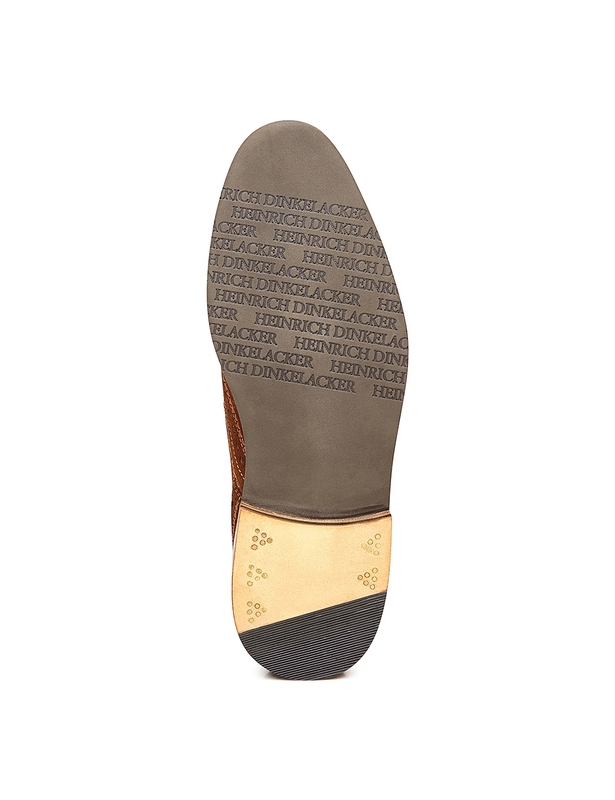 The lightly double-stitched sole structure consists of a flexible leather midsole and a porous outer coating.